The Canon Video Creator Kit (seen above). The kit includes a Canon EOS 80D Body; a Canon 18-135mm lens; a Canon Power Zoom Adapter; RODE VideoMic Go; a 32G SD Card, and all the other goodies (battery, charger, strap, etc.). 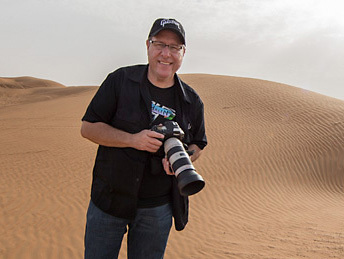 High-five to our friend Rob Altman of Canon USA for his vision and support for our video category — Canon has been our main sponsor for a number of years now, and they are an absolutely AWESOME sponsor. Big thanks to everyone at Canon USA who helps make this annual event happen. OK, let’s get right to it — we’ll start with the winner, and then I’m going to share a few other videos that, while they didn’t win any prizes, I thought they deserved an honorable mention. Check back Friday Morning for the big reveal of the Grand Prize Winner and Top 10 Finalist! This is our first year having a mobile-photography category (images taken with a cell phone camera), as part of my Worldwide Photo Walk, and we have some beautiful shots to honor in this new category from some really talented photographers. More contest winners yet to be announced later today and tomorrow! Learn how to incorporate your unique voice into your photography! Join Karen Hutton on location in Lake Tahoe, California and learn how to see the world in a whole new way. In this class Karen explores what it really means to see a scene, how to get yourself grounded in your environment as preparation for taking photographs, how to use compositional guidelines to convey your messages, how to work the area you are photographing, and so much more! When you get in touch with your unique way of seeing the world you can being to express yourself in new ways. Get out of your comfort zone, open yourself up to new experiences, and have fun telling your your story through your photography. It’s not what you look at that matters, it’s what you see! Join Karen Hutton for an exploration of how to find your voice, and share it with the world. Finding your voice takes a lifetime, but you don’t need to wait to start using it. In this class Karen shares a simple process, using many visual examples, for how you can look at your own life and connect who you are to what you do with your photography. Your voice is who you are, and the world needs you to weave things that matter into what you want to say with your art. From having a vision to practical examples and exercises, Karen shares what has helped her find her voice and bring it to bear in her work. This class was filmed in front of a live audience, so be sure to stick around for the Q&A session at the end.